The International Sheep and Wool Handbook Second Edition, This book is an expanded, updated version of the Australian Sheep and Wool Handbook published in 1991. The 1991 text was widely regarded as the definitive sheep and wool textbook and has been used as the reference text for sheep and wool subjects in many Universities since then. In the 1990s there were few sheep and wool textbooks available compared to the situation in 2010. Many requests were received over the last 19 years to produce a new edition. The amount of time required to produce a new, substantive book caused some trepidation but a rare window of opportunity to carry out the task opened up in 2008-2009. One massive change that has affected both the sheep and wool industry and the publishing industry is the advent of the internet with its search engines, word processing software and the use of email. This has made multi-authored book writing easier and quicker on the one hand but with the increased problem of possible information overload. Much of the value of this book for readers is the distillation of the mountain of information available in the modern digital, electronic era by the chapter authors sifting through the various sources of information and capturing it in one place. Key websites for further information have been listed at the end of many chapters. The book has been made more international in scope compared to the earlier 1991 text. 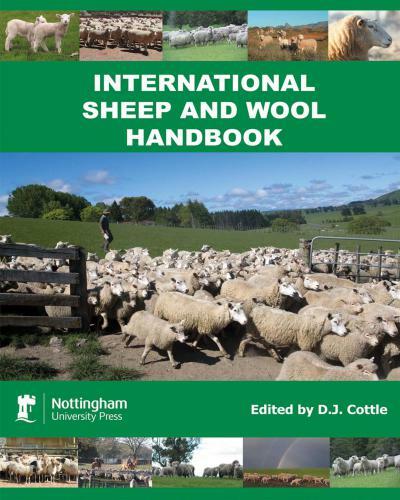 There is the collection of new chapters on the sheep and wool industries in the major sheep regions of the world which is unique to this book. There is also a wider range of references to global examples in the various chapters. There are new chapters on meat processing and sustainable production and expansion of some chapters, e.g. sheep meat and wool processing. The 1991 book was written at the time of the wool reserve price scheme collapsing in Australia. There has been much change in the meat and wool industries but some would argue not enough change. All authors were asked to crystal ball gaze about likely future developments. Perhaps this was a recipe for being proven incorrect in future but it was an interesting exercise. The Meat and Wool Boards were merged in New Zealand and in 2009 the NZ growers voted to reduce the wool levy to zero. Australian producers voted to maintain a 2% wool levy in Wool Poll 2009 but there have been calls to merge the wool (AWI) and meat (MLA) organizations. What changes will the next 20 years bring to the world sheep and wool industries?